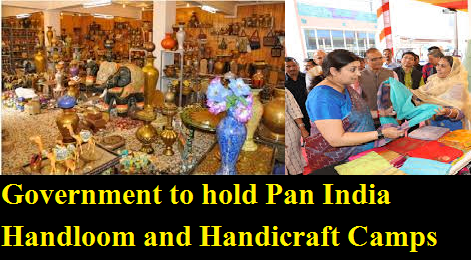 The Ministry of Textiles proposes to organize Pan India camps in handlooms and handicrafts clusters, under the initiative “Hastkala Sahyog Shivir”. The camps will be organized during 7th October to 17th October, 2017. This initiative is dedicated to Pandit Deendayal Upadhyay Garib Kalyan Varsh, the birth centenary year of Pandit Deendayal Upadhayay.